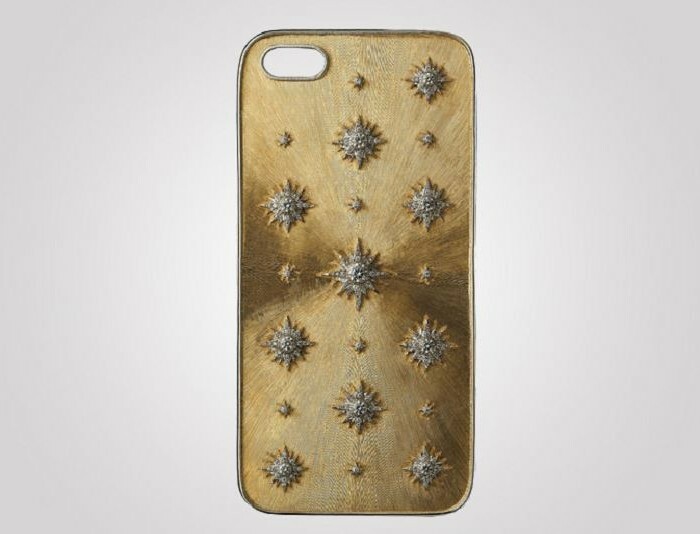 If your iPhone cost you just $200 with a two year contract, this case definitely is not for you – can’t afford it. But, if you’ve bought it unlocked for few hundred bucks more, you probably can afford it. 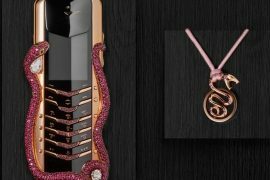 Italian luxury jeweler Buccellati presented their creations at Baselworld, and two of the items made claims for the title world’s most expensive iPhone 5s case and iPad mini cover – they carry staggering price tags of $206,000 and $481,000, respectively. 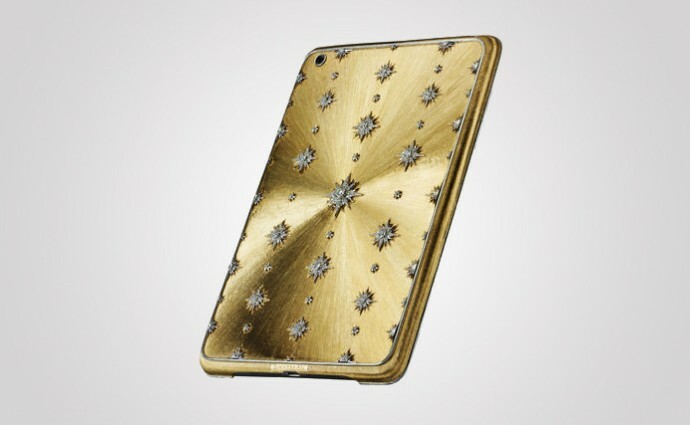 Inspired by Leonardo da Vinci’s solar illustrations, designer Lucrezia Buccellati created the cases in gold. They are decorated with scattered small diamond starbursts and engraved with Buccellati’s signature Rigato. Buccellati, a family owned jewelry house has been in business since 1919 and well-known for their for engraved gold, diamond and gemstone cuffs, earrings and rings. 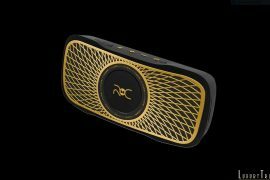 With changing times they’ve branched out to create special accessories such as iPhone and iPad cases. However, even with a price tag at $206,000, Bucelletti haven’t surpassed the Anita Mai Tan’s Dragon and Spider iPhone 5s + jewelry case at $880,000.